Italians are renowned for being pretty passionate. If they ask you out, it's entirely possible that they'll confess their love for you on the very first date. So you need to be prepared! In order to recognize your date's declaration — "I am soooo in love with you!" you first have to learn the verb "to be". One big difference to English: In Italian it's not necessary to use the pronoun. (That's the words like "I", "you", "she", "it", "we", "they".) In fact, Italians will often leave it out. Don't let that throw you! 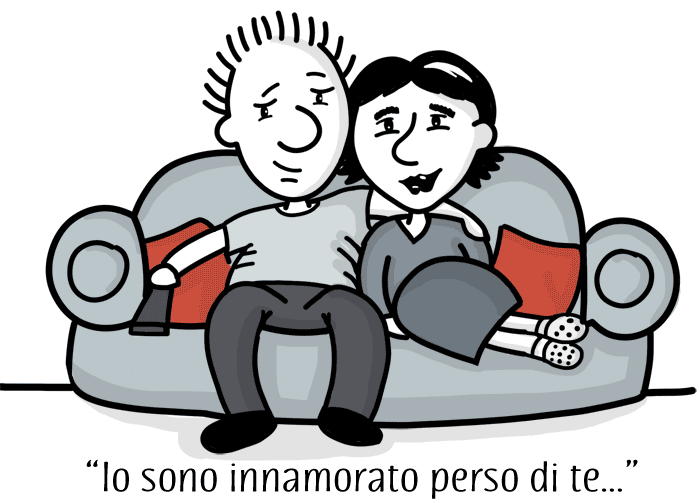 Io sono innamorato di te! I am madly in love with you! Tu sei la cosa più bella che mi sia mai capitata! You're the best thing that's ever happened to me! There are quite a few sayings in Italian related to love. Some are quite similar to sayings we have in English.